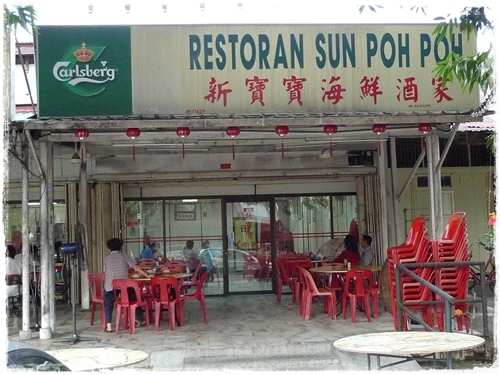 For more than two decades of rich legacy behind their resume, Sun Poh Poh Restaurant in Pasir Pinji of Ipoh has been constantly raved upon by the locals, especially residents staying around Pasir Pinji & Pasir Puteh. I for one, was born and raised in Pasir Puteh. 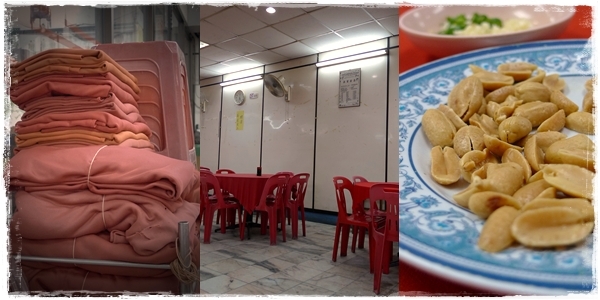 Hence the familiarity when it comes to revisiting old classics like Sek Lau Zhi (Ais Sagu), Poh Lee Fried Chicken, and the other famous Fried Yong Tau Foo (Yong Liew) under some BIG trees (now renovated into a proper coffee shop). Okay, for those who still wanna lament/gripe/cry injustice over the omission of Pasir Pinji’s legendary Lorong 5’s Chee Cheong Fun ….. I apologize, sincerely. The erratic business hours (1.30pm onwards on Mon, Tues, Thurs and Fri only, notwithstanding sudden closure, public holidays or school holidays) and damn long queue for a plate of CCF is rather deterring. Someday, people …. someday. Old School enough for you? Sun Poh Poh is another one of those places in the neighbourhood that requires no menu, specials of the day, or fancy artwork decorating the walls. Or even pleasant, shiny, charismatic personnel ushering you to your seat. You walk into the two-lots air-conditioned restaurant for dinner or supper (they’re opened until 1.30am!) and find yourself a vacant table. Then quickly wave for attention (trust me, you MUST stand out amongst the crowd on a weekend!) and order away, or ask for rapid successions of recommended dishes darting your way. We have always believed in recommendations from the staff of an eatery. Especially if the highly-acclaimed dishes got the thumbs up from the lady boss herself. Yes, she was somewhat a friend of our family’s; she used to be our neighbour for a short stint back in the early 80’s! 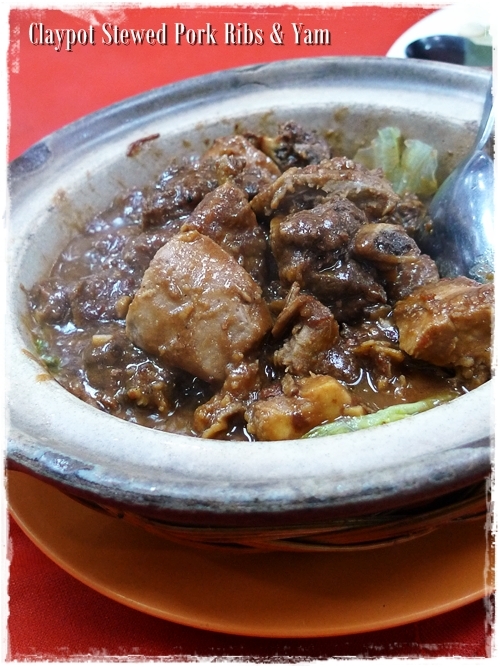 And so we started off with their signature claypot containing piping hot stewed pork ribs with chunks of yam; not cooked until mushy. We bit into crispy bits of dried shrimps, and gleefully chewed on lard fritters. The whiff of umami-infused aroma got us craving for more. Good start, although deep down inside I wished the blocks of yam were softer and cooked until a smooth, mushy texture. 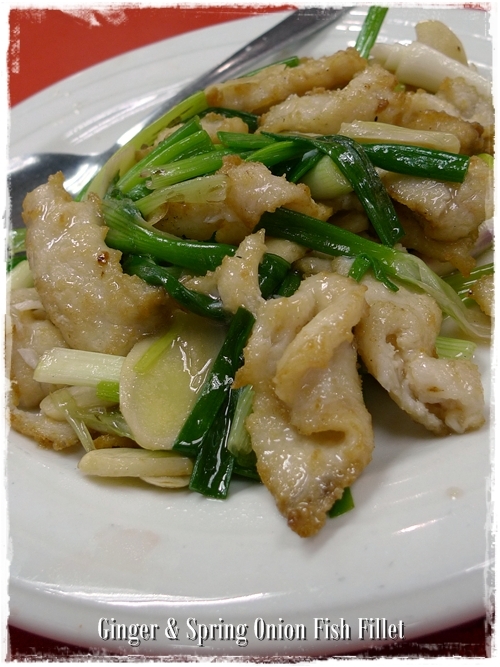 Ginger & Spring Onion (Scallion) Fish Fillets (RM20/USD6) – Safe choice, especially if you’re dining with children. Boneless = Perfect for lazy eaters. 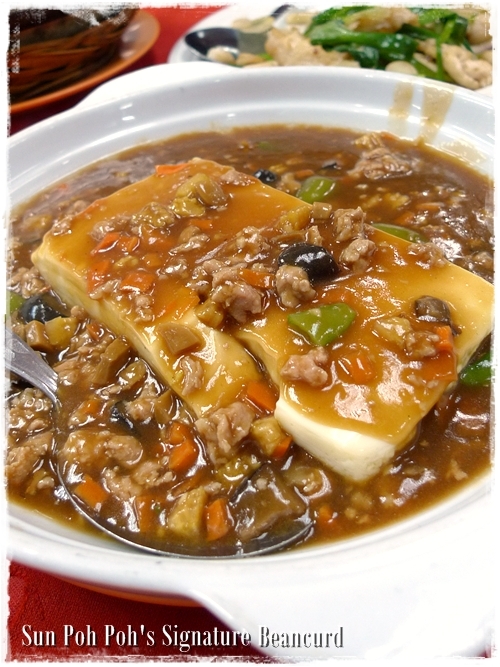 Poh Poh Beancurd (RM8/USD2.40) – Velvety smooth beancurd smothered with a lavish gravy with minced pork, mushrooms, carrot and sweet peas. 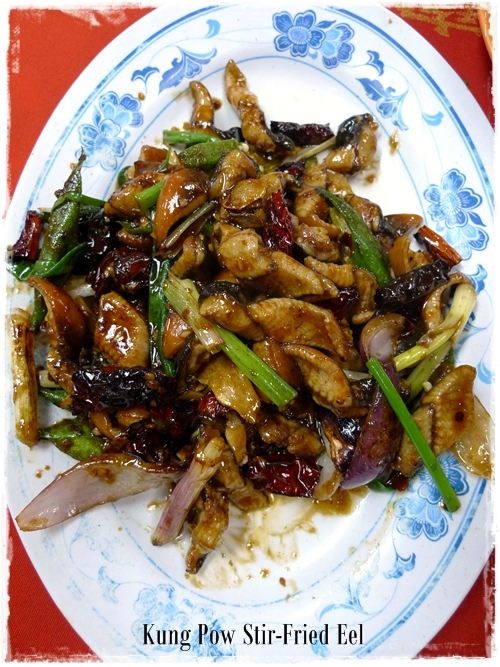 The MUST-TRY items includes the delicious stir-fried eels in a spicy and sweet sauce, or Kung Pow Wong Sin. Boneless cuts of eel with a springy bite retained, stir-fried with lots of onions, scallions and dried chillies for flavour. Half expecting the serving of eels to be reeking of bones, I was pleasantly surprised there was almost none that annoyed the lazy glutton in me. The Fish Fillet and Beancurd were good in their own rights, though Sun Marpoh STILL cooks my personal favourite beancurd dish; the Gwai Fei Tofu. * For a better idea on what Sun Poh Poh serves, aside from the tried-and-tested dishes, hop over to Ipoh Echo’s review of the restaurant way back in 2009, when SeeFoon sampled their signature Indian Mee, an interesting Saito Fish (wolf-herring) Rolls with water chestnut and yam, and even frog legs steamed and served with essence of chicken. Telephone : 605-253 7273, 6012-518 8182, 6012-400 9786.
Business Hours : 5.30pm – 1.30am. # This is within the vicinity of the famous Dai Shu Geok Yong Liew Stall on Jalan King, and same row with Poh Lee Fried Chicken. Hi dordor, I would not exactly go to the extent to claim their food ‘sux’ …. and avoid at all cost. Mind to share your experience on this? i dont know if the food is old school but it does look like simple home cooked dishes, minus the eel that is very comforting to dig into (except that you just said it is busy like nobody biz). Of course they do whip up some creative inventions, like the saito fish and yam rolls, steamed frog legs with essence of chicken (though Yoon Wah in old town is also famous for that) etc. But this would be the type of place you can drag your grand parents to and yet they will love the meal for being the simple home-cooked fares that they are. 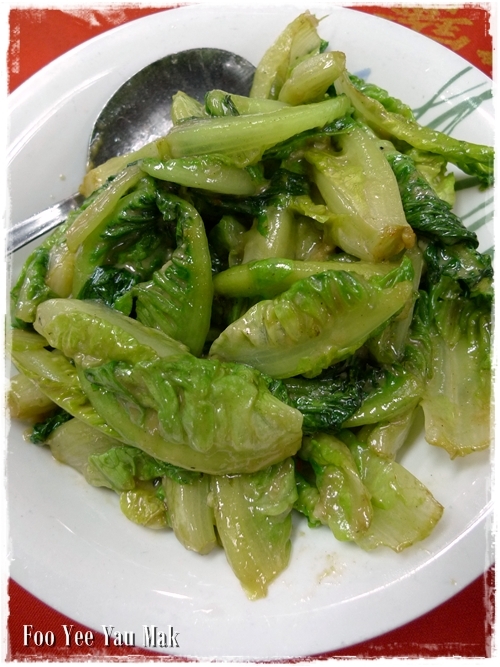 Fu Yee Yau Mak is my favorite.. lol.. u make me so tempted to eat that suddenly.. omg.. tummy grumbling wen i viewed ur post =x all the foods are both my family and my favorite dishes wen we dining out..
Haha …. yeah to be ordering the same dishes over and over again, and yet never grew tired of them. eh! Another 3 months and I’ll be in Ipoh for my friend’s wedding! With so many good posts… I’m really spoilt with choices on the places to go! Anyway, will get in touch with you soon! Let’s grab a bite or something. I’m having ginger and spring onion rice for dinner! Yum! This post alone is luring me to go up to Ipoh! U must bring us go jalan-jalan cari makan if we ever come up lah! I will avoid going to this restaurant again! !The place is very dirty and smelly !!! Also saw rats running around the restaurant while dining. phone rings. Display is definitely good mechanics there. judgement, too watch dogs serial key generator lightly.